The Golden Gate is famous throughout the USA and also worldwide. This suspension bridge, built in 1933-1937, connects San Francisco with Sausalito. Take a closer look at it with us in one not-so-typical photo on Zonerama. People generally photograph the Golden Gate Bridge from the side, to highlight its classic construction. This photo caught our eyes because it’s different. 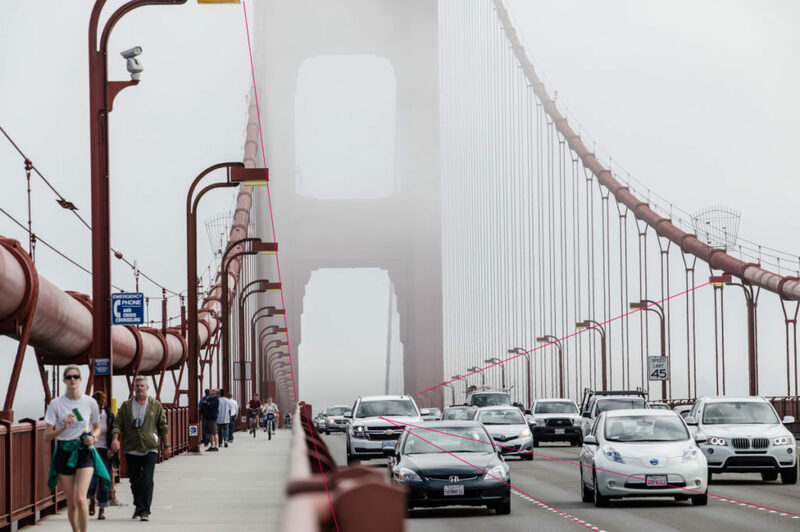 When you’re going to a classic shot site like the Golden Gate Bridge, don’t try to photograph the site the same way as thousands of people before you; find other views and other compositions and capture the magic of that place. Even though the author of this photo from Zonerama chose a view straight from the bridge, you can tell from the construction what is in the photo. The use of the largest possible depth of field suits this photo. Thanks to the weather, the bridge seems “endless.” Všechny detaily aut a lidí jsou výborně vykresleny a snímek není nijak přeplácaný. 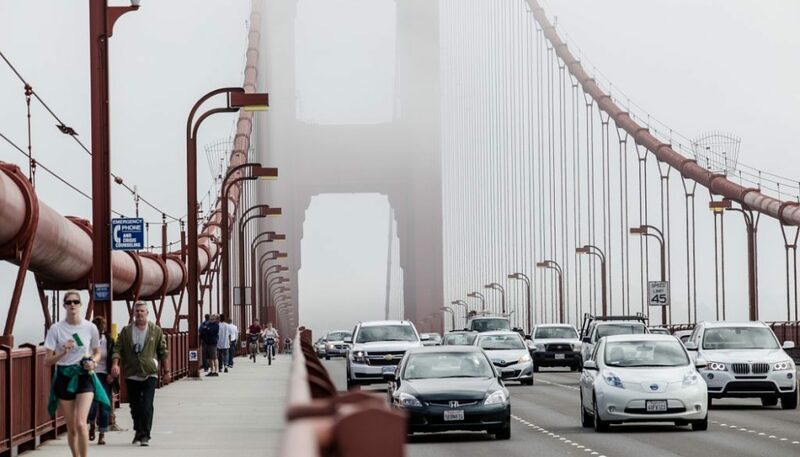 The author caught a moment when the bridge was occupied by drab-looking cars. The picture’s neutrally dressed people don’t draw unneeded attention to themselves, thanks to which the bridge’s red structure only shines. This photograph’s very interesting composition draws the audience into the action, and its guidelines guide one’s vision in the directions it needs to go. Harnessing these lines was the right choice. The composition brings you into the action. But we do have one small objection—the photo could have a little more space along the edges to keep the first runner from having “cut-off” legs. The first light could be better uncropped too. But these are just minor problems that are only noticeable after a while, if at all. Even a distinctively American place can be captured in a new way. Look for ways to take shots that not just anybody has, and show them to the world through Zonerama!